Low Calorie Recipes: Homemade "Fried" Pickles with Homemade Ranch! 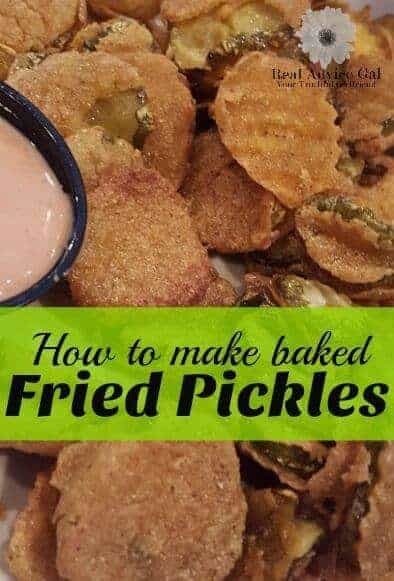 Fried pickles was one of my favorite foods before I started my Weight Loss Journey (If you haven’t yet, you can read about my weight loss journey HERE) and I really missed them, but they are loaded with fat and calories (anything fried usually is right!?) So I thought they would be off limits for good. Not anymore! 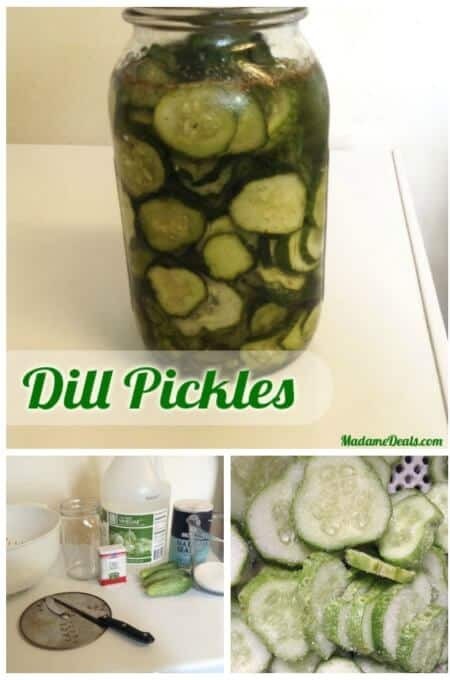 At only 102 Calories for 12 yummy pickles, this is the perfect low calorie recipe for healthy eaters everywhere! 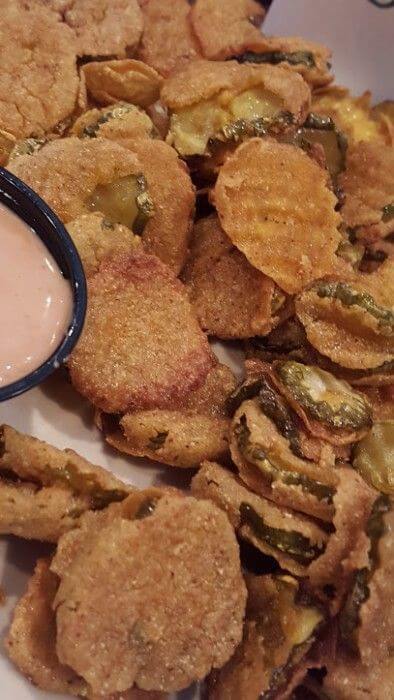 Just because you are watching your calorie intake does not mean you can’t have fried pickles. Try this baked version that is every bit as crispy and delicious as pickles fried in grease but with a lot less fat and calories. Low Calorie Recipes: Homemade Baked Pickles with Homemade Ranch! First, combine all the ingredients for the Ranch in a bowl, and put in the fridge to chill while you are making the pickles! Second, Place all the pickles on a paper towel to drain. Third: Combine Panko, flour, cornmeal, paprika, parsley, and 1/2 the chipotle in a shallow dish and mix. In a second bowl combine the egg, egg white, and remaining chipotle and whisk together. Forth: Set the over to 450 degree and put a baking sheet into the oven. Fifth: While the oven is preheating Dip the pickles in the egg mixture, and then into the dry mix, make sure both sides are coated evenly and then set aside. When the oven is preheated, take the baking sheet out and spray lightly with the olive oil, and then place the pickles on the oven sheet, spray the tops of the pickles lightly with the olive oil spray and bake for 8-10 mins. Sixth: Turn the pickles over, and spray the tops of the pickles lightly with olive oil and put back into the over for an additional 5 mins, and then serve! There you have it! My Low Calorie Recipes: Homemade “Fried” Pickles with Homemade Ranch! I was So excited to try this Low Calorie Recipes: Homemade “Fried” Pickles with Homemade ranch! It turned out SO yummy and I think it would go perfectly with our Grilled Pesto Turkey Panini Recipe. Have you tried our other Low Calorie recipes? What are some of your favorite Low Calorie Recipes?